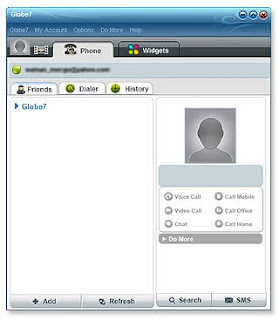 Globe7 is a downloadable software application that will convert your PC into a telephone to make free PC to PC calls, cheap calls to any mobile or landline with free videos, news and SMS. Chatting with Globe7 users can be more expressive with various fonts and emotions. Globe7 is available for PCs and there is also a mobile version for Windows and Symbian phones.